According to the Internet Advertising Bureau and PwC’s Affiliate Marketing Study, spend in the UK on affiliate marketing grew by 15.1 percent in 2017. And is still growing. With more and more businesses turning to affiliate marketing to promote their products and services, affiliate networks and their offerings have developed in response. Although it’s possible to work directly with affiliates, doing so requires a great investment of time, as well as the need to integrate specific software to track and monitor campaigns and publishers. Working with affiliate networks negates the need for much of this, making it the preferred method of 83 percent of advertisers. Affiliate networks are platforms that act as a middle man between the publisher (the affiliate) and the advertiser (the merchant). Advertisers establish their affiliate programmes on an affiliate network and publishers can search the network to find programmes that they want to promote. The affiliate network acts as a manager for both publisher and advertiser. For an affiliate network to work, both advertisers and publishers must first sign up to the network. Once accepted, advertisers can add their programmes to the network, and publishers have instant access to a huge range of affiliate programmes and promotional material. Publishers can apply to be accepted onto any programme they wish to endorse. Once they have been accepted as an affiliate partner with the advertiser, they have access to a choice of promotional texts or creatives that can be used across a variety of platforms, such as social media, emails or websites. The publisher is assigned a unique publisher ID upon joining the network, which is used to track the sales for each programme advertised on the affiliate network. The publisher places the affiliate links across promotional material; when potential customers click on the link, they are then taken to the advertiser’s website to complete their purchase. The ID is tracked by the affiliate network so that the sale can be attributed to the publisher. The publishers and advertisers can access their dashboard at any time and review all aspects of the programme within the affiliate network’s platform. Affiliate networks like Awin offer expert account management and consultation, supporting both advertisers and publishers to create and nurture partnerships with the aim of growing and optimising each affiliate programme. What are the benefits of an affiliate network over direct affiliate marketing? Advertisers can directly approach or seek publishers to promote their products, but it is generally more straightforward and secure to use an affiliate network. An affiliate network deals with many factors involved in running an affiliate programme, leaving you more time to run the other aspects of your business. With so many factors involved in an affiliate programme, managing all aspects can be complex. An affiliate network streamlines the process by providing account management, technology and end to end tracking. It also includes payment and reporting options, leading to an efficient system that is easy to track, monitor and tweak. The affiliate network will handle commission payments to your affiliates - the Awin network pays publishers first before the network is paid to ensure publishers are paid as quickly as possible, via the traffic light and accelerated payments system. Affiliate networks offering account management are able to support advertisers on their day to day reporting to provide insights on performance and industry circumstances as well as give regular benchmarking and sector analysis. Account management teams can offer support for overall business strategies and suggest campaign ideas and recommendations to help achieve both company and channel objectives for their clients. Account managers can work with their advertisers to help form working partnerships in the best interests of both parties, facilitating conversations, campaigns and execution. The network will also make sure all tools are in place to ensure that it is easy to track and promote your programmes, through their dedicated interfaces and dashboards. When you join a network like Awin, there are no hidden extras, or further integrations or licensing fees required; everything is provided for you. You can take a look at Awin’s transparency around pricing and costs on their IAB website. This complete solution also means publishers are more likely to trust you and your brand, even if they don’t know you. The transparent systems in place for tracking and payment offer publishers a level of security and peace of mind that they will get paid for their efforts. Advertisers generally pay out a commission when a sale is made, and this sale will also trigger the fee the affiliate network charges, usually called network fee or override. This tends to be based on a percentage of the sale or commission, dependent on the agreement set up with each individual advertiser. However, most networks can be flexible with the payment model to ensure that the affiliate marketing channel is working in the best way possible. Compare this to other forms of advertising which require a flat fee to be paid, regardless of outcome or sales made, or other online channels where payment is per click or impression regardless of sales achieved. Promoting your products through an affiliate network is an effective method of managing your advertising budget, as up-to-date reporting combined with recommendations from the network can help to ensure that budget is spent in the most effective way possible, as well as allowing regular monitoring on budget spent throughout the month. Commission rates can also be set at the initial set up stage and calculated against profit to help manage spend and cost per sale, which allows an advertiser much more control over budgets throughout the year. Publishers must apply to join affiliate networks and then go through an approval process for each individual advertiser programme. Not everybody is accepted, so your products are only promoted by those publishers the network has deemed to be potential good partners for the advertisers on their platform. On Awin, we have a dedicated compliance team who individually checks each affiliate before they are allowed to join the network, to ensure the quality of our publisher base and the partners you can work with. Offering your affiliate programme directly requires you to find suitable publishers to promote your product and approach each one individually, which takes time and effort. Advertising on an affiliate network ensures your programme is visible to a range of suitable publishers without any further marketing. Affiliate networks also have a large directory of active publishers, spanning a range of industries. Every publisher has their own unique experiences and skills, which you can tap into and benefit from. Affiliate networks like Awin provide you with a comprehensive dashboard, which allows you to easily track impressions, clicks, conversions and, most importantly, your sales and revenue for which you can generate reports at any given time. You can monitor which publishers are the most successful as well as what campaigns are performing well. This allows you to optimise your affiliate marketing easily, rather than having to amalgamate different reports and analysing them, saving you valuable time. Publishers will need to comply with the terms and conditions of your affiliate programme as well as the network’s terms and conditions, which will also outline any unacceptable, immoral or dishonest behaviour. When dealing with publishers directly it can be difficult to spot such behaviour until later on in the process, but affiliate networks have vast experience in detecting suspicious activity and taking action. Their expertise allows them to recognise issues before they become a major problem, as well as deal with them quickly and efficiently. Affiliate networks also put procedures in place to prevent unethical practices, including vetting all publishers, and implementation of network user agreements and a code of conduct, giving you peace of mind and protection against less scrupulous publishers. Awin publishes these guidelines to provide total transparency. Influencer marketing is a growing trend and more and more consumers are looking to build relationships with marketers they know and trust. 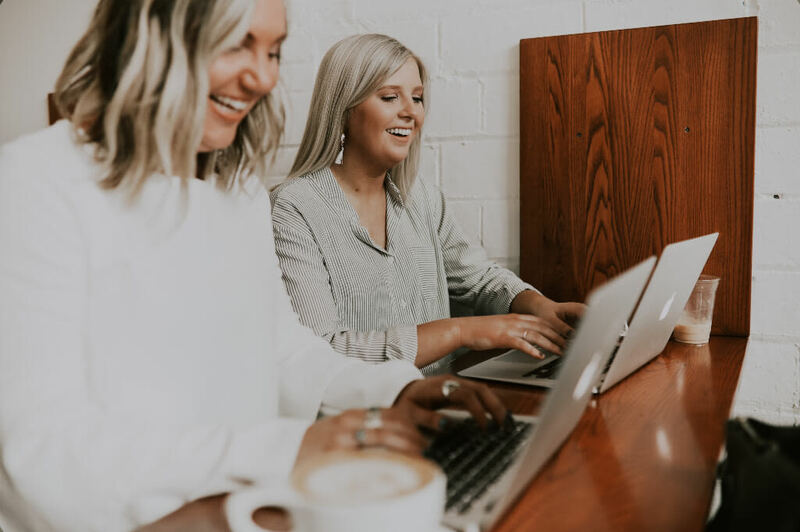 Forward-thinking affiliate networks work closely with a range of social influencers who can help boost your brand, and extending the partnerships available through the affiliate channel. Building a relationship with influencers traditionally takes time, but as an advertiser with the affiliate network, you have instant access to these influencers. At Awin, we have a dedicated Influencer Marketing Consultant who can aid even further with these types of conversations, offering expertise and often opening direct dialogue with key influencers to support your brand. Return on investment is a crucial aspect of your marketing endeavours but can take a while to measure with some marketing techniques. By using an affiliate network, you are leveraging the power of existing processes and systems to return a profit far quicker than if you managed publishers yourself. With the management systems you need already in place, the model negates the need to spend time setting up and testing them. This speeds up the process, allowing you to see results quicker. Your affiliate network will generally assign you an expert and dedicated account manager to oversee your programme, deal with the day-to-day running of the programme and assist you as necessary (service level dependent). The affiliate network manages the tracking and payments systems for you, while your publishers promote your product. There are also expert support teams in place to aid with any technical issues. With this team in place, this helps to reduce the in-house support you’d need to fully manage a direct affiliate programme. Every visitor sent to your e-commerce site by a publisher provides you with an opportunity to build a new relationship. Affiliate networks like Awin have a large global reach, with publishers worldwide, giving you a chance to grow your brand across a wide area and several markets. For every publisher that promotes your products, you’re increasing your brand exposure to new markets and previously untapped audiences. It’s also easy to maintain your brand identity through affiliate networks by uploading your logos and creatives that are associated with your brand for your publishers to use. This then helps to ensure consistency. Brand guidelines can also be included and shared with publishers to ensure that your brand, logo and representation are being portrayed in the right way. With 81 percent of brands adopting affiliate marketing, it’s clear that this marketing channel is still growing in popularity, despite regular claims from across the digital industry that it’s slowly dying. Global Strategy Director, Kevin Edwards, addresses this notion in Awin Thoughts, but it’s clear that an industry responsible for 16 percent of e-commerce sales with an annual estimated growth rate of 10 percent is as strong as ever. The industry now has over two decades of data to back up the simple reality that affiliate marketing via a dedicated network is a profitable endeavour. There’s no doubt that affiliate networks like Awin provide an efficient marketplace for advertisers to seek approved publishers to promote their products. They also offer a streamlined business model for managing campaigns easily and without stress. Using a global affiliate network is comparable to outsourcing work to freelancers or contractors, allowing you to tap into an experienced network of skilled professionals, without having to employ a team in-house. Affiliate networks provide a communication channel that is based on trust and allows for partnerships and relationships to be built. This is paramount to the speed in which sales and return on investment can be made, which gives affiliate marketing a key USP and sets the industry aside from many other marketing channels.